We've had a bunch of snow the past two weeks, including another 6" last night. 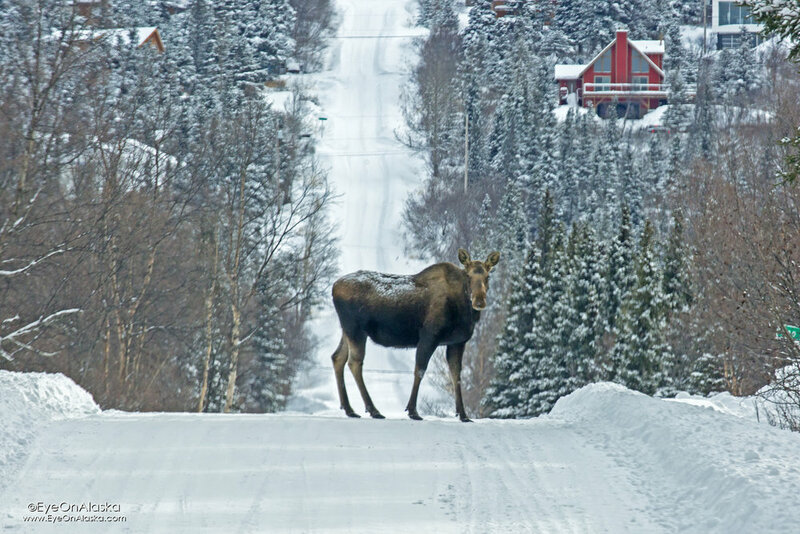 The Bear Valley moose aren't stupid, they use the roads to move between feeding spots. This healthy looking cow decided to hold me up for just a bit this afternoon, then continued her snacking along the road.